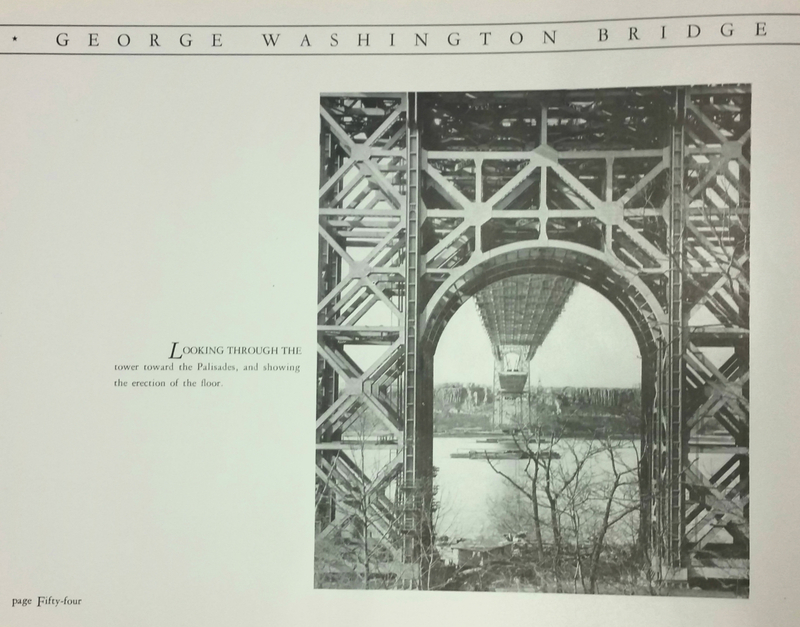 George Washington Bridge – What Exit? 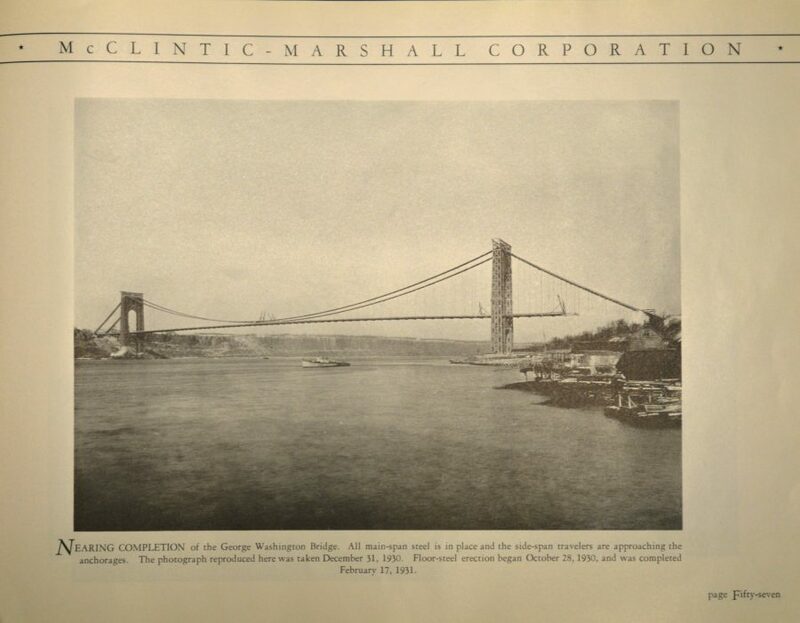 As we mark the second anniversary of “some traffic problems in Fort Lee,” we take a look at the magisterial George Washington Bridge during an earlier, more innocent time. 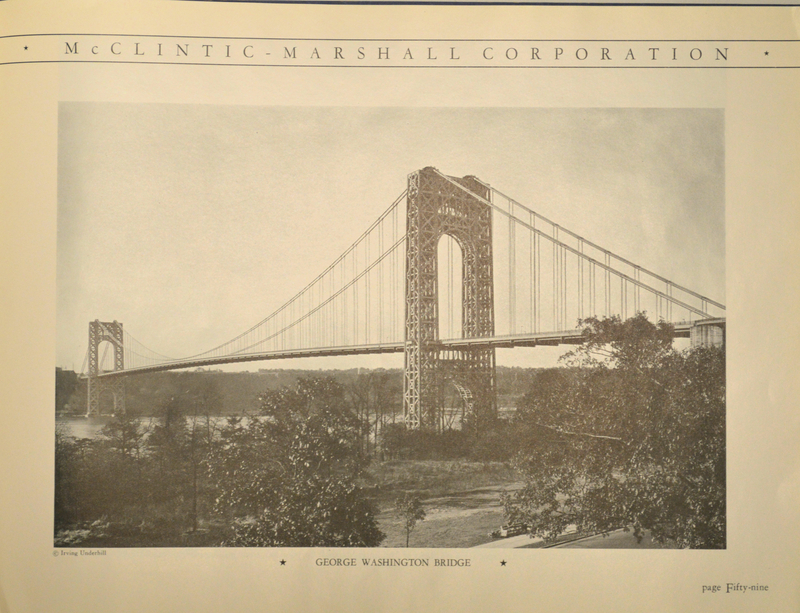 While the towers, floor and girders were fabricated by McClintic-Marshall, a subsidiary of Bethlehem Steel, the bridge’s cables were made by Trenton’s John A. Roebling’s Sons. Special Collections holds the Roebling Family Papers and related collections. 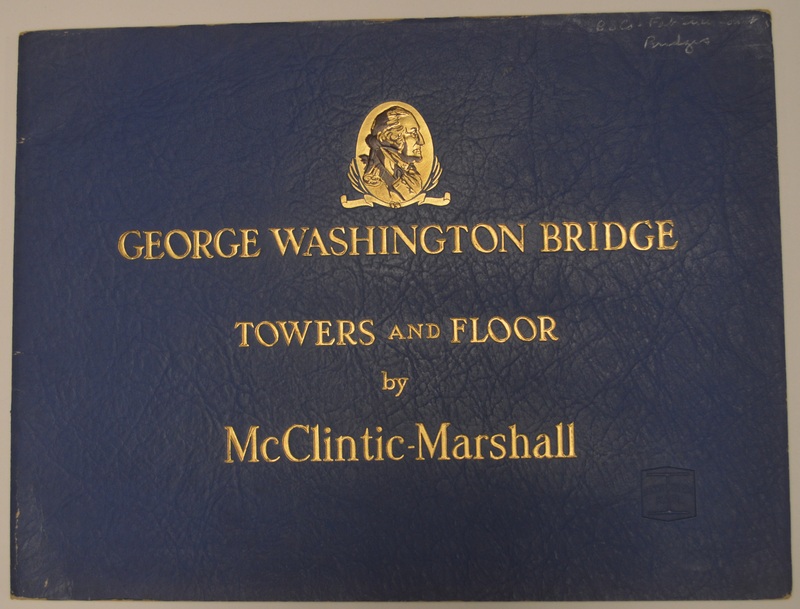 The Sinclair New Jersey Collection includes numerous books on the Roebling family and business as well as company catalogs and brochures.